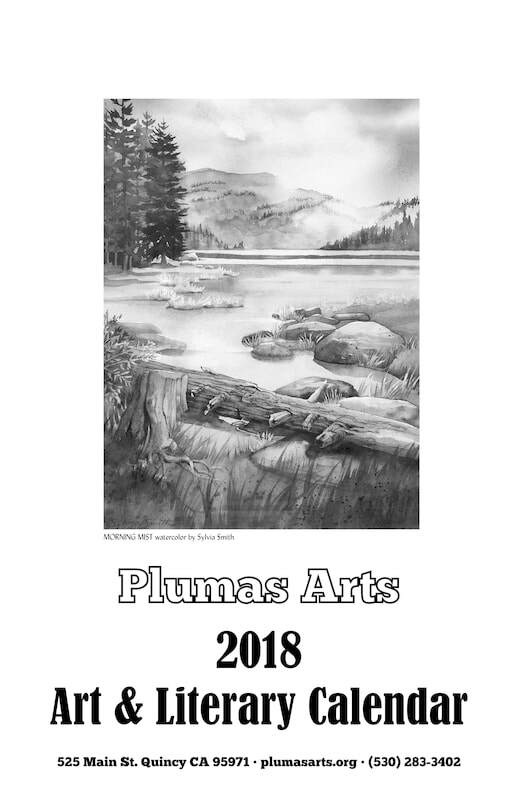 Plumas Arts is once again seeking art and written word submissions from Plumas County artists and writers for the upcoming Plumas Arts 2019 Art & Literary Calendar, a much-loved publication published since 2000. All submissions should be submitted electronically to cary@plumasarts.org by Friday, September 7, 2018. Art submissions should be 2-dimensional (including but not limited to photography, painting, drawing, collage, etc.). The calendar is printed in black and white, so art submissions will be evaluated on their ability to be successfully reproduced in this medium. Written Word submissions should not exceed 25 lines, to meet space requirements. Poetry is preferred but short prose pieces will be considered as well. If your submission is chosen for publication, you will receive one free copy of the 2018 calendar. For more information, please call Plumas Arts at (530) 283-3402 or email information@plumasarts.org. Just in time for the giving season, Plumas Arts is proud to announce the arrival of 2018's Art & Literary Calendar, featuring the art and poetry of Plumas County artists and writers. This much loved publication puts the talents of our exceptional county on display, from watercolor to photography to verse, and marks all the notable cultural events for the upcoming year. Artists included are Sylvia Smith, Anneke Meinhardt, Janet Steidel, Amy Rose Moore, Cary Dingel, Michael Beatley, Lucinda Wood, Jane Braxton Little, Madison Reiswig, Sally Yost, Jim Longnecker, Sally Posner, and Abigail Stockinger. Writers this year are Jeff Rockholm, WMojave, Margaret Elysia Garcia, Alex Lemnah, Betty Bishop, and Jeff Kepple. Calendars are on sale at the Plumas Arts Gallery in Quincy for $10 each. Plumas Arts Members pay the member price of $8 each. The Gallery is open Wed-Fri from 11am to 5pm and Saturday from 11am to 3pm.